Man’s native urge to perceive the very purpose of the ‘riddle’ of life and his longing for a better ‘Mento spiritual life’ have, probably, resulted in the origin of various philosophical systems. Modern psychology, an off shoot of Western philosophy, in its attempt to look more scientific seems to have become divorced from these metaphysical yet practical quests. Moreover, given its limited scope and the premise of understanding human behavior through empirical approach, as well as, its ultimate goal of ‘social adjustment’ many an existential problem, such as nature and constitution of personality, as well as, the very basic principles relating the purpose of human existence seem to have escaped due attention Indrasen (1960) has stated, ‘Most part of psychological knowledge is limited to the relation and interactions of human personality with environment. 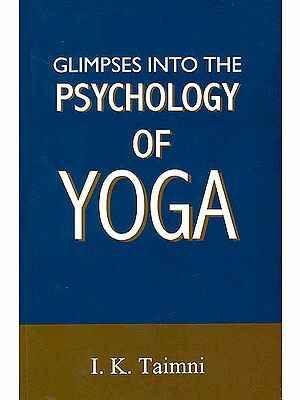 As to what personality is, its nature and constitution as a fact, we have not had sufficient curiosity nor exploration and systematic study” (P.1) Yoga, often termed as Indian psychology, not only deals with these problems convincingly but also delves deepr into the psycho-physiological recesses of human personality and culminates into the highest embodiment of human existence variously known as Self realization, Samadhi, Moksa, Salvation, Liberation, ‘Nirvana and the like. 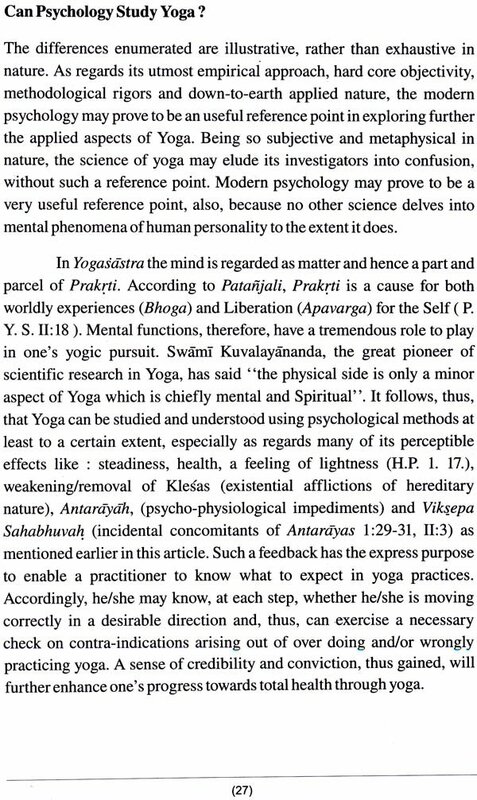 In their epistemological, ontological and methodological approaches the disciplines of Yoga and modern psychology evidently differ to such an extent that one wonders if there are any points of agreement between them. However, their common interest in solving the existential problem of understanding, controlling and directing human behavior makes them worthy candidates for a comparative study and thus raises a hope of developing a pragmatic synthesis between these two sciences. Of late, the co-operation between the two has been increasingly evident. Modern psychology is lending itself more and more to introspectionism. especially in understanding mind-body relationship. 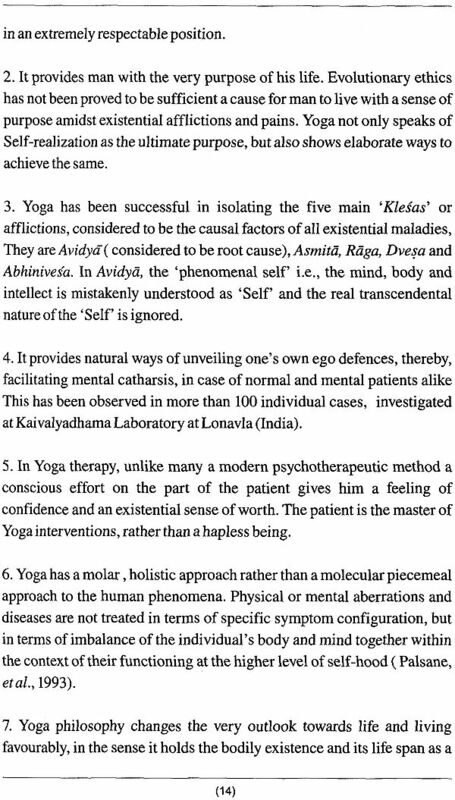 So also, Yoga experts are becoming more and more receptive to rigorous scientific investigations for an objective assessment of psycho-physiological effects of Yoga. In the process there are emerging certain points of agreement useful for forging a synthesis, which, in turn, may enrich both the sciences. Before exploring the possibility of such a synthesis, it must however, be noted that the basic assumptions, objectives and methodology of Modern psychology are based on Modern European Naturalistic Rationalism. Yoga, often referred to as Indian psychology, on the other hand, has its base in Samkhya, one of the six intuitive thought systems, better described as Darsanas. 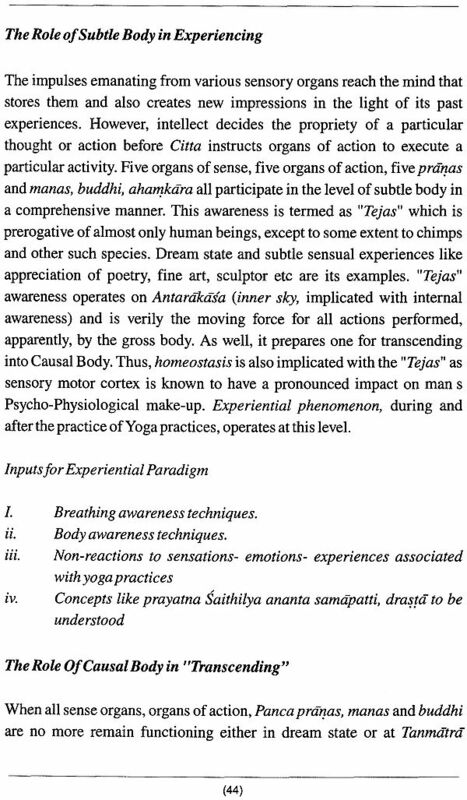 In Yogic literature, broadly, two categories of definitions are found: One denoting ‘Union’ –albeit perceptual –of Atman (Self) and Paramatman (Supreme Self) Siva and Sakti, Ida and Pingala etc. 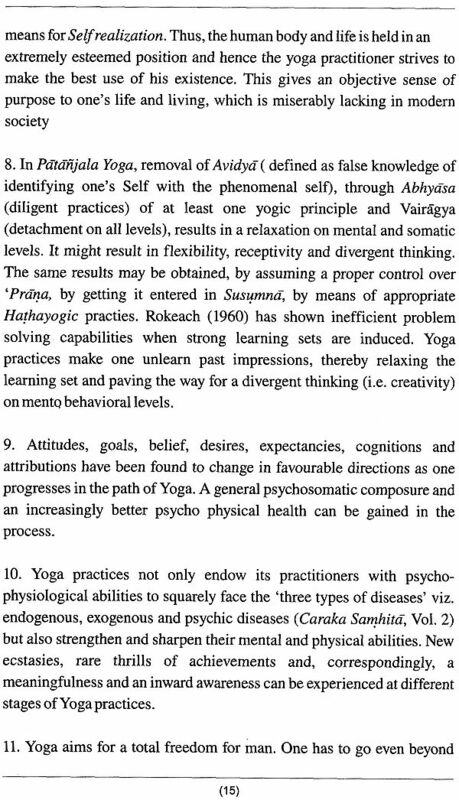 (Hatha Yoga School), the second one denoting a separation of prakriti from Purusa, eternal Self from empirical self etc. (Samkhya school). Though numerous types of Yogas have been claimed and accepted in the yogic literature, the two unequivocally accepted mega streams of Yoga are Patanjala Yoga and Maha Yoga. While Patanjala Yoga is Known to encompass each and every type of Yoga (rather everything that goes with the term Yoga), the Maha Yoga stream has four variants viz., Mantra Yoga, Hatha Yoga, Laya Yoga and Raja Yoga. Of these Hatha Yoga, being the most popular today, has been dealt-with in detail along with Patanjala Yoga, the first mega stream. Keeping in view the ancient wall paintings, fossil remains, and scriptures like the Vedas, Upanisads, Mahabharata etc., the science of Yoga can be traced to about 4000 B.C., and believed to have originated from the Lord Siva. By around 300 B.C. Patanjali, the great exponent of systematic Yoga, had compiled the Patanjala Yoga Sutra which integrated the varied branches such as Astanga Yoga, Abhyasa Vairagya Yoga and Samyama Yoga. Patanjali’s Yoga reigned supreme until about 900 A.D., when Goraksanatha entered the scene and contributed such monumental works as Goraksa Sataka, Goraksa Samhita, Goraksa-paddhati and Siddhasiddhanta –paddhati. 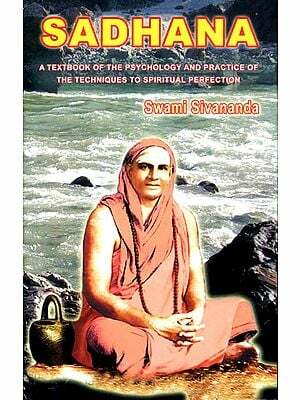 Thus, a new system of Yoga, later known as Hatha Yoga, was established.